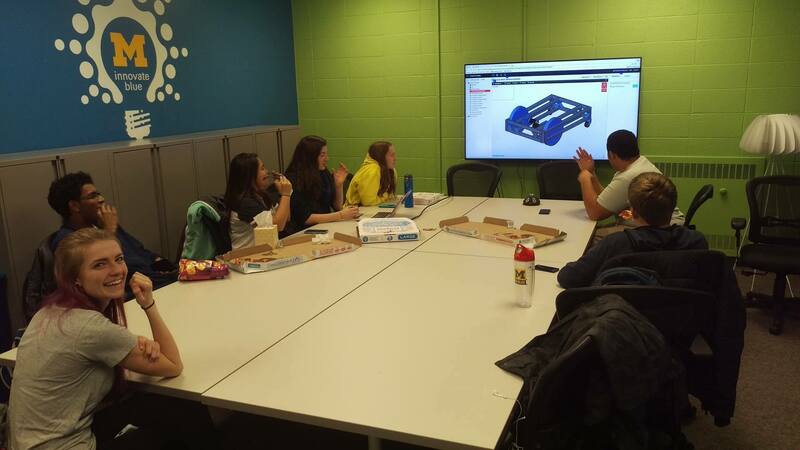 IMAGE: UMIGV team members meet and discuss the design of their first prototype. New student team University of Michigan Intelligent Ground Vehicle (UMIGV) has spent much of its first year organizing and fundraising, and is now building a prototype autonomous vehicle. CE student Adarash Mishra co-founded UMIGV in 2016 and led the team through its first year. UMIGV aims to build a fully autonomous vehicle by June 2018 to compete in the annual Intelligenct Ground Vehicle Competition (IGVC) at Oakland University. At IGVC, autonomous rovers from schools around the world navigate an obstacle course using onboard sensors and computers without human input. In addition to the competition, UMIGV is planning community outreach efforts about intelligent and autonomous systems, including demo days and hands-on sessions where young students can learn and interact with the vehicle. 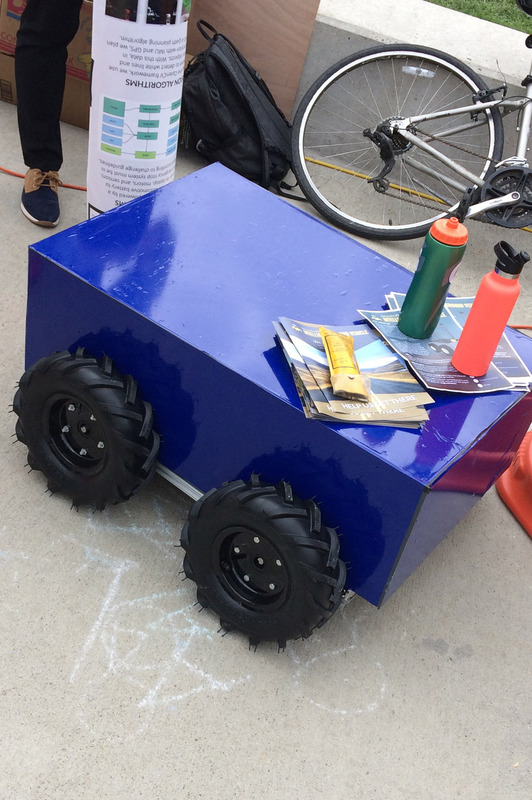 They brought a prototype vehicle to the Ann Arbor Summer Fest, with several computer vision demos on screens, an active lidar unit with object recognition on screen, and the shell of the vehicle fully assembled.